Where the conch is fresh and the water is warm—all year round. If “summer forever” is your personal motto, I highly suggest making your way down to Turks & Caicos sooner than later. The group of 40 islands that make up the British territory lay claim to an impressive 350 days of sunshine per year (even on the coldest days in “winter,” the islands have an average low of 73 degrees; yes, please). And best of all, it’s only a short three-hour plane ride from NYC. 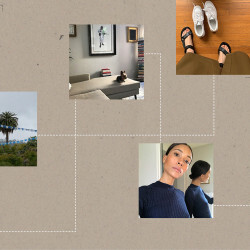 Pack your bag full of bikinis, and take notes. 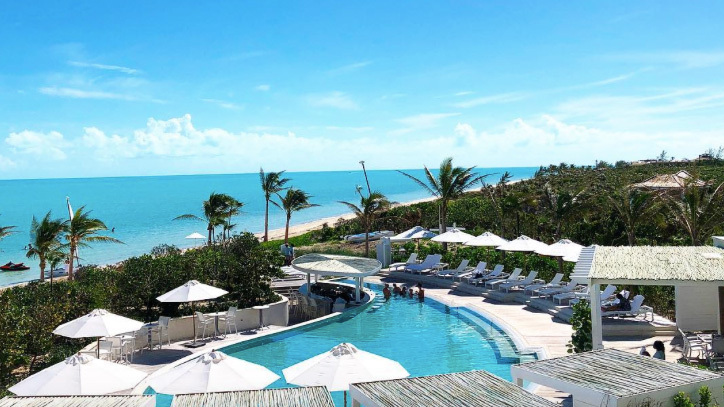 True to its name, The Shore Club Turks & Caicos, the beach is on point. (Pro tip: The clear blue waters are best enjoyed with a drink in hand.) Providenciales is known for kiteboarding, so instructors are available to show you the ropes of the local sport if you’re feeling adventurous. Snorkels, sea kayaks, paddle boards, and Hobie catamarans are also available to play with. When you need a relaxing break from the surf, book a massage at the Dune Spa (we recommend the Balinese treatment: a coconut back scrub, followed by a mix of Chinese, Hindu, and European methods), and sink into 90 minutes of tranquility in a private beach-front villa. 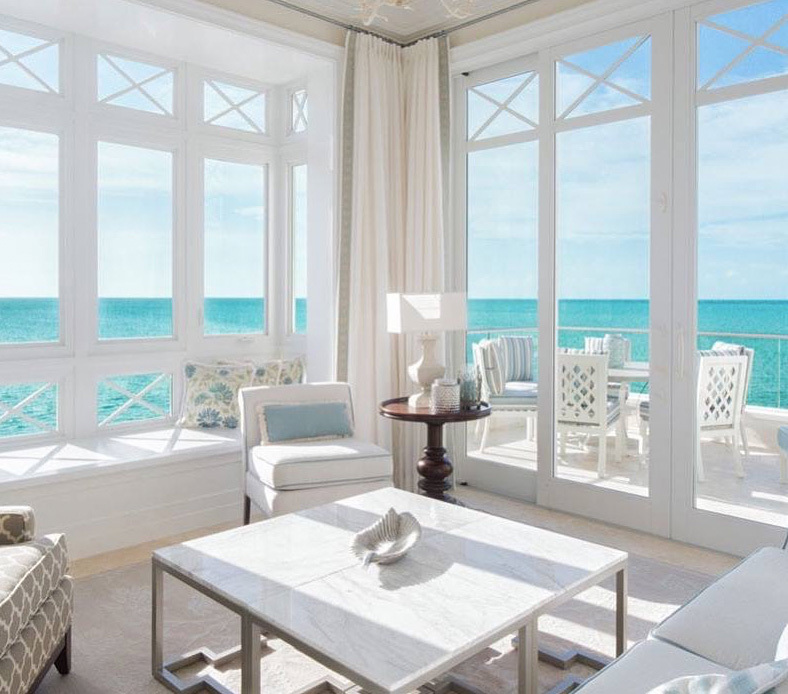 No serene spa soundtrack necessary—the ocean breeze is *literally* right outside the door. If it’s good enough for Christie Brinkley and every Victoria’s Secret model under the sun, it’s good enough for us. 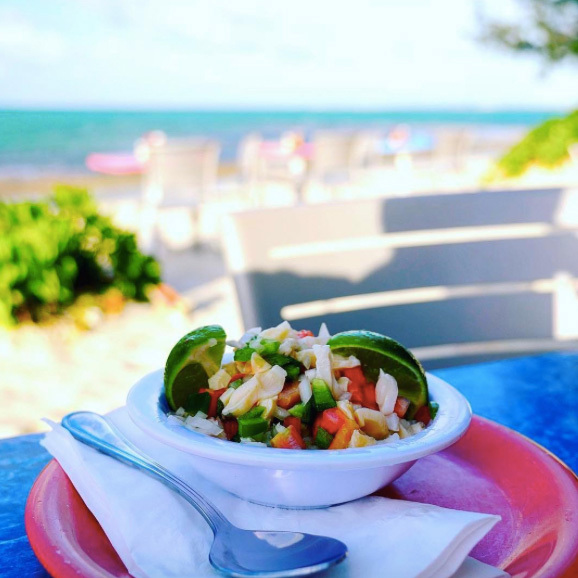 This pastel beach-front spot is famous for their conch and seafood dishes, and for good reason: All fare at Da Conch Shack is sourced directly from the ocean on the property. It’s the freshest food you can get, and it’s definitely worth a visit. Make sure at least one of your dinners is reserved for this upscale restaurant, located across the island of Providenciales at The Palms on Grace Bay Beach. Executive chef Lauren Callighen’s menu includes butternut squash ravioli, steak dishes, and sea bass cooked to perfection. Oh, and the wine list is top-notch. For the most authentic Turks & Caicos experience of your trip, head to the weekly Fish Fry, held at Bight Park on the island of Providenciales on every Thursday night. According to locals, this is *the* place to be. Get there early (official start time is 5:30) to check out the local vendors and eat all the fresh fish, conch fritters, and jerk chicken you can handle. Once the sun goes down, the real party starts. Each week a new live music band takes the stage as local dancers perform. A junkanoo rush, a traditional Caribbean street parade drum performance, caps off the night on a high note. If you like a party atmosphere, you’ll enjoy the energy of this all-night affair. 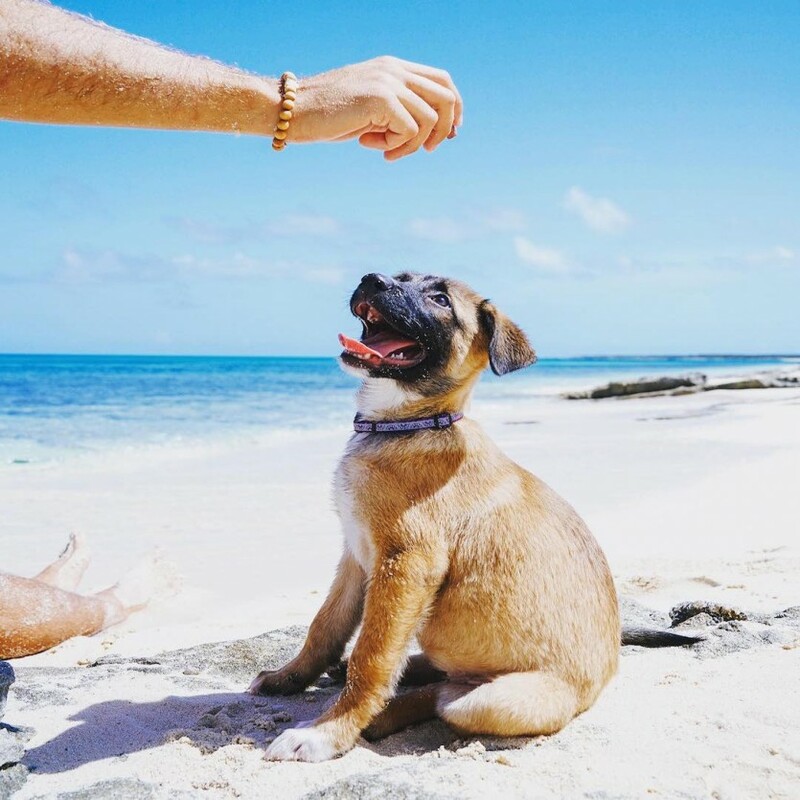 Puppies and beaches—can you think of a more perfect day? In Turks & Caicos, it’s not uncommon to see dogs roaming around the island. In fact, they’ve developed into their own native breed, lovingly called potcakes. Potcake Place rescues these pups and helps them find loving homes. Even if you don’t intend to take a dog home from vacation, you can play with one for two glorious hours. Potcake Place will provide the fur baby, a toy, treats, a water bowl, pick-up bags, and a leash. Pups are on a first-come, first-served basis, so make sure to get there by the charity’s 10:00 a.m. opening time! A what?? Yup, a “glow worm.” Three to six nights after a full moon each month, ocean banks light up with flecks of neon green light just after sunset as the marine worm performs a mating ritual. This natural phenomenon is unique to Turks and Caicos and is completely controlled by the lunar cycle, so plan accordingly!